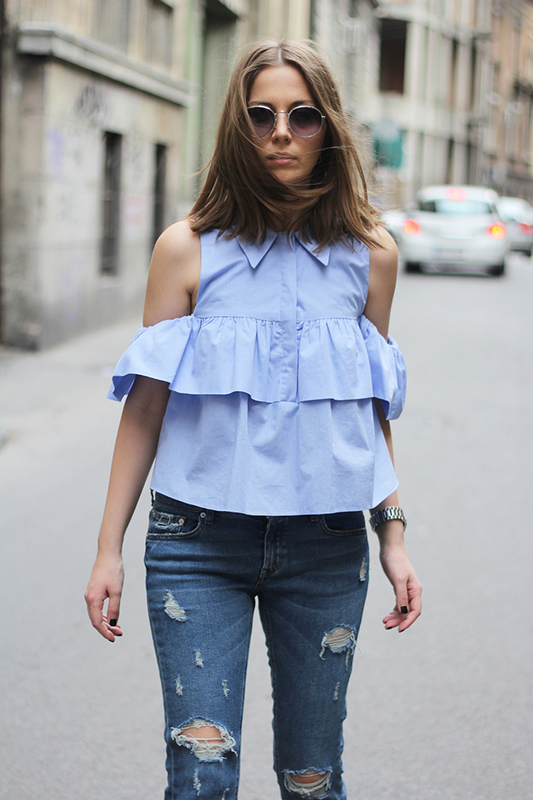 Ruffles and peekaboo sleeves in one? Yes, please! 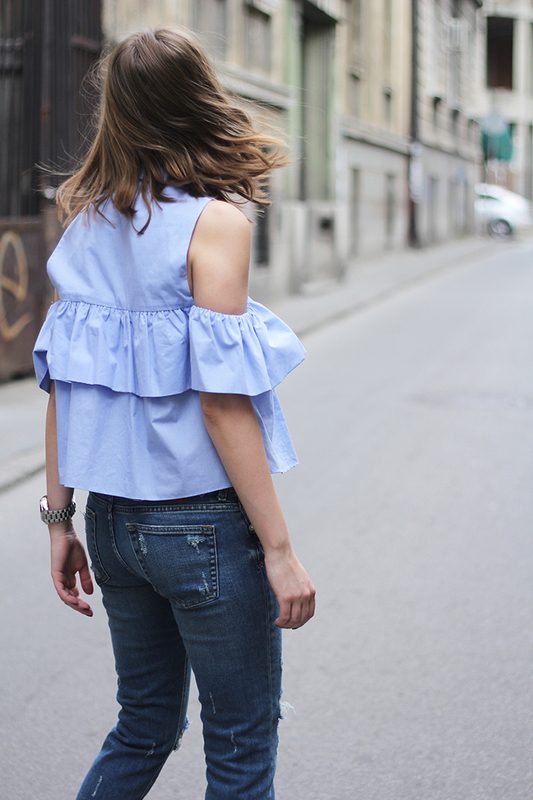 Just paired it with relaxed cropped jeans, pair of heels and you are good to go!